“You really should do something about that, Professor Leibowitz.” That’s Ruth, incisive and sharp, perched on the edge of her wire-frame office chair, chin resting on her hand, fixing me with her birdlike eyes. “Mind elaborating, Atticus?” I said, just to see the tension manifest in a tiny quirk at the corner of his mouth. No, he couldn’t help what his parents named him, but I could never quite resist the puerile impulse to tease him about it. I found Hassan exactly as reported, in the garage, where the prototype Verves idled, hooked up to their recharging stations. Hassan was sitting on the concrete floor, his skinny back propped up against his bedroll, his grey Formula 1 hoodie pulled up around his ears to keep out the cold, writing up some notes on his tablet. “Why aren’t you hooked up to one of those rechargers?” I asked by way of opening gambit, sitting down next to him, a little more stiffly than I would have liked, and leaning up against the wall. Both it and the floor were cold. “Well, a psychologist,” I admitted, thinking of Ruth. “Mind swapping duties with me for the passenger testing tomorrow, Rose?” Ruth asked, as she divided her attention between her coffee cup and her phone. “Nothing much, I’m just convinced T-44Y hates me,” Ruth said absently, swiping left on an e-mail. Rose snorted. “You doing a Hassan?” Over where I sat at my desk, my office door open, my ears pricked up. “Back in a minute,” I said, checking the roster and heading for the lab door. Someone was going to have to nip this in the bud. Hassan ignored me. “Just watch,” he said, pointing out to the test track. As usual, it was set up in a simulation of an unusually busy urban road; obstacles, traffic lights, construction sites. All to provide decision points for the cars. Sometimes we’d have people on the track—trained stuntmen and women, usually, just in case something went wrong. So far, nothing had. 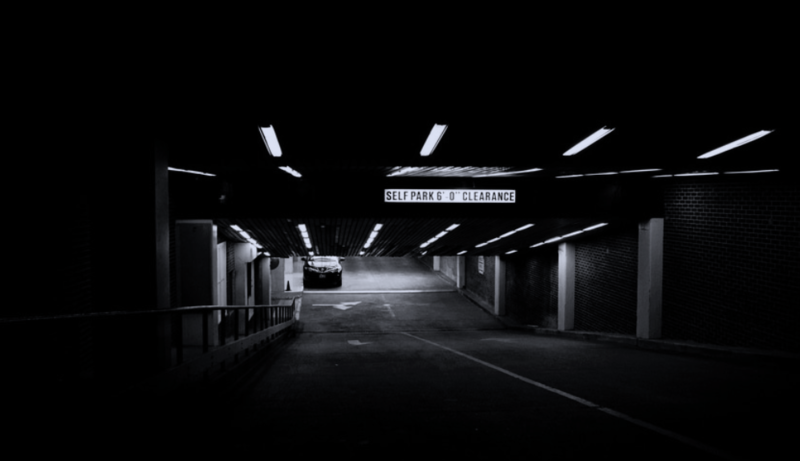 “Ah…there.” The doors had opened and the cars were all emerging out onto the track. A few of them drove rapidly back and forth, seemingly observing the terrain; others slowed to a crawl, sensors working overtime. It was, I thought, a bit like watching a pack of dogs in an unfamiliar yard—but I sternly warned myself against the temptation to think of them that way. Hassan pointed again. “Look at that spot there. Over by the stack of traffic cones.” I noticed one of the cars drive up to it, pause for a moment, then drive off again. Then, as I continued to watch, another one drove up, paused, then drove off. Before long, all the cars had done that. Then, and only then, did they queue up to begin the track exercise. “OK, I’ll let Rose and Ruth know that,” I said. I was in my office in the lab, filling out some report forms, when my phone sounded, making me jump. I answered it. “There’s been an accident—” Ay choked out. I put the phone down and ran to the elevator. Emerging onto the track, I caught the scene in flashes. A knot of cars pulled over to one side, their hazard lights flashing; irresistibly I thought of them as bystanders at a tragedy. Ruth, sitting on the ground, staring straight ahead and biting the side of her hand. Ay rushing forward, gabbling at me in words I couldn’t take in. The car, the one Ruth said hated her, hated everyone, its number painted on the side, T-44Y, and in front of it a skinny, prone figure, limbs splayed like a doll, lying across one of the measuring lines. 500 metres, I noted calmly, in the way that at moments of crisis trivia becomes deadly important. “Aw, thanks.” I accepted the paper cup, sipped at the hole in the lid. “Come join me. I’m just making some notes.” Below us, on the track, the cars were being released for a free-processing period, allowed to explore the track, figure out the problems, communicate their solutions. T-44Y was conspicuous by its absence, having been withdrawn for reprogramming—something I wouldn’t have considered an ethical issue a month ago, but they’d had to go over my head to do it this time. I was bombarding them with paperwork in the hope that it would stop the process, or at least slow it down until I’d managed to prove Hassan’s hypothesis. “Yeah, like Hassan. Listen,” I said. “I’m putting in for more funding. Read this and tell me what you think.” I passed Ay my tablet. Out on the track, the cars were emerging. They drove about, making little scouting movements, or crawled along the edge of the track. A pair of them matched each others’ movements with balletic precision. Then, one by one, they all drove to the 500 metre line. Each paused, right on the line, right on the spot where the body had lain. Then each one drove on. Fiona Moore is Professor of Business Anthropology at Royal Holloway, University of London. She received her doctorate from Oxford University, where she studied at the Institute for Social and Cultural Anthropology, in 2002. Her research on identity and culture in German multinational corporations, chiefly BMW UK, has been published in the Journal of International Business Studies, Management International Review and Thunderbird International Business Review. She has written a monograph, Transnational Business Cultures, on German expatriates in the City of London, with a second forthcoming monograph on Taiwanese elite labour migrants in London and Toronto, and she has worked with a multinational team conducting a study of Tesco's corporate culture. Her current research focuses on the development of international knowledge networks by Taiwanese professionals in the UK and Canada. 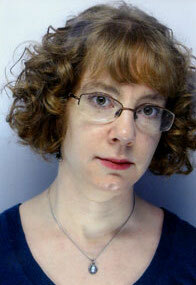 She also reviews and writes science fiction for a number of publications. More information is available at www.fiona-moore.com. Ethnographic Study Lifts the Hood on what REALLY Goes On inside that Car, Brigitte Jordan et al.